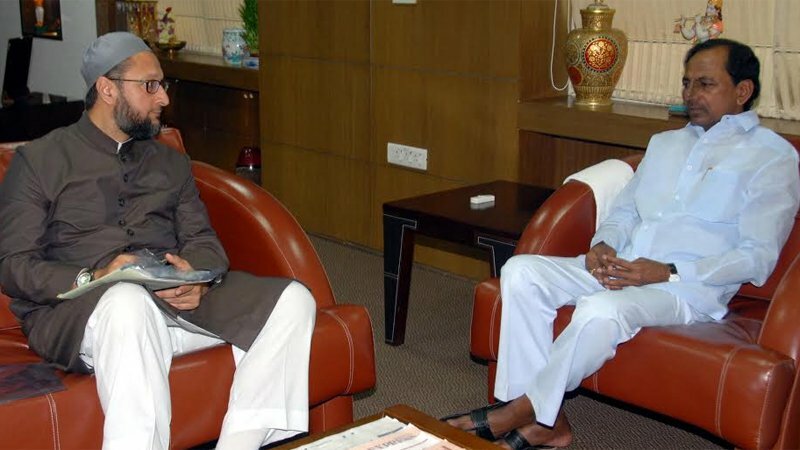 AIMIM chief Asaduddin Owaisi met KCR and extended his support to TRS. Telangana Assembly Election results will be out on Tuesday. Exit polls by various national media predicted that TRS will win at least 66 out of 119 seats and form government. BJP hinted at backing TRS in case it falls short of magic figure. Owaisi rushed to KCR’s residence riding a bike. Owaisi also had tweeted that the AIMIM would support KCR. “Inshallah, he’ll form the government on his own strength, and Majlis will stand by him. This is our first step towards a larger goal of nation building,” tweeted he. Previous articleDisha Patani in 50 Shades of Green!